Troublemaker Foundation is proud to be a a 501(c)(3) non-profit organization (EIN is 46-3511401). Your donation is tax deductible to the full extent of the law. Donate today to help us continue the Troublemaker Foundation's mission to encourage young people to strive for and reach their full potential, and succeed in life through acceptance, empowerment, and achievement. 100% of donations collected on this website go to carrying out Troublemaker Foundation's core outreach activities, including, but not limited to, live speaking engagements and a supportive online presence. Donations received will help offset the cost of resources needed to reach out to schools across the country, as well as develop an online platform where student's can engage with the foundation, access supportive resources and post their individual goals. 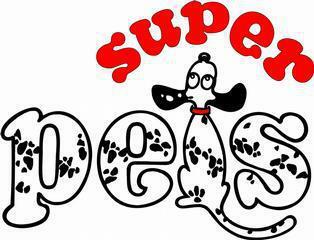 Troublemaker Foundation is proud to recognize our corporate sponsors: Super Pets, Peak Financial Inc. and CEO Paul Jones.